Description : Create a document right in your browser. Edit on any machine you can find anywhere. Create a project for your group. Invite members to read or edit the project. Share your document with your friends. Do a simultaneous editing with your friends. 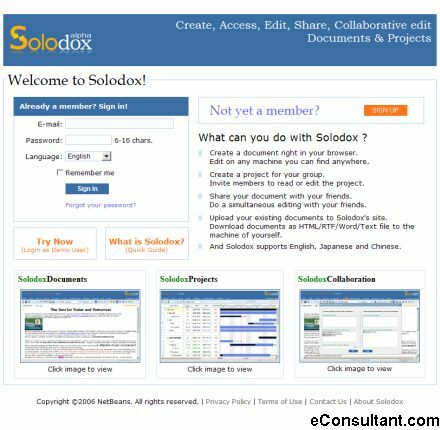 Upload your existing documents to Solodox’s site. Download documents as HTML/RTF/Word/Text file to the machine of yourself.